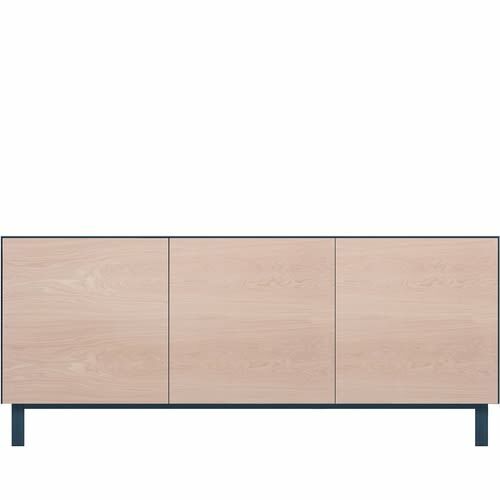 The Cubo Rectangular Cabinet 3 Doors is designed by Theo Williams. Made from Solid Oak and Veneer with a perfect thin edge with stepped mitre detailing and push and pull openings. Finish option include Latte with Latte front, Petrol Blue with Latte front, Grey with Latte front or Petrol Blue with Blue Mirror front. All natural and coloured oak finishes have a 5% protective Lacquer layer. Painted finishes feature painted drawer bottoms and latte oak interiors.